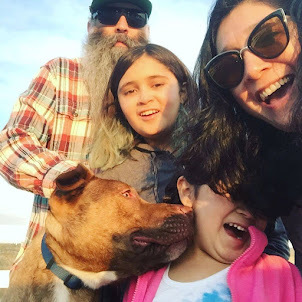 Punk Rock Parents: We (heart) Taylor! We are so into American Idol this season. Not a show that we would usually watch but or some reason we love it. We sit there on our couch every week and critique every performance. Like who are we to judge have you ever heard Joey or I sing. 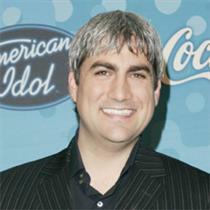 And our favorite is Taylor Hicks. We cannot get enough of that guy. I will even admit that we vote for him too! I am seriously debating making Phi a onsie with I, a heart, and a picture of taylor! Last night we watched the results show and we were pretty surprised to see Kevin go home. Was anyone else shocked by this. Sorry Chone, I know you were a Kevin fan! I really thought Lisa Tucker was out of there. I mean did you see the long shorts!? Sounds like a description of my typical Tuesday night, on the couch with my husband (I am embarrassed to admit). Welcome to the exciting world of parenthood! I was glad to see Kevin go home. If Bucky isn't sent home next week, I'm going to boycott. Sorry chonie, but I have been saying for the past three weeks--"send Kevin home." I was happy about last nights results...it was just a bonus that Ace was not in the final three this week. Woo hoo! I received your postcard today for the postcard exchange.... very cute and creative!! Thank you. Ok I have been lurking for awile now, I was hooked when I saw the t-shirt you got for Phi. I thought Kevin needed to go, hes cute but he really can not sing! I think Yucky (I mean Bucky) or Lisa will go next. Ace is gross hes too into himself.